Diet and exercise play a major role in how you feel and function. Your quality of life is highly dependent on these two factors. I have found that combining Nutritional Therapy with intelligent exercise can help you achieve optimal health levels, abundant vitality, and an enhanced lifestyle. My passion in life is health and well-being. My goal is to help you improve yours. Food is the body's fuel. Eating the wrong foods can be extremely detrimental to your health. However the right foods can have a profoundly beneficial effect on energy levels, brain function, your immune status and your appearance. There is no reason to suffer the ill-effects of food-related poor health. I should know. I have experienced the life-changing benefits of Nutritional Therapy myself. To learn more about my story visit About Me. Samantha currently takes weekly clinics at The Haelan Centre in North London. For bookings and appointment availability please contact Samantha on 07745 578 347 or email [email protected]. For more information please visit the Sessions page. Pilates is a bodywork technique that can benefit everyone: young or old, fit or out of shape. The beauty of the technique is that it can be adapted to suit any 'body'. You don't have to be “superfit” or flexible to practise this superior form of exercise. Benefits include a toned body, impeccable posture, effective rehabilitation from injuries, alleviation of pain, and overall improved health. It is not surprising that Pilates is the number one exercise method recommended by medical specialists and physiotherapists. 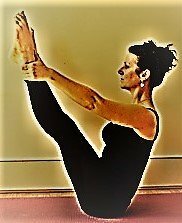 As a qualified Pilates Instructor, Samantha teaches both machine-based and mat classes in a number of studios. She also gives private lessons in the comfort of your own home, clinic room or studio. For more information you can contact Samantha on 07745 578 347 or email [email protected].